ROME, Italy, October 9, 2013/African Press Organization (APO)/ -- As many as 4 million people in rural areas of Madagascar are food insecure following this year's reduced harvest. Production of rice – the Indian Ocean island's staple – and maize has been badly hit by erratic weather and a locust invasion. 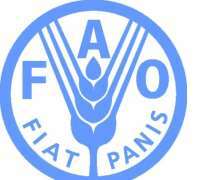 A further 9.6 million people are at risk of food insecurity, say two United Nations agencies. The extent of the island's food crisis is revealed in a report from the joint Crop and Food Security Assessment Mission conducted in June/July by the Food and Agriculture Organization (FAO) and the World Food Programme (WFP). This blamed the poor agricultural season on a combination of factors: erratic weather conditions last year, cyclones early this year – causing flooding – followed by a period of poor rains. Also cited by the mission was the devastation caused by a locust plague. This has both damaged crops and discouraged farmers from planting. The south of the island - already a chronically food-insecure area - has been particularly badly affected. Although locust damage in areas affected was extensive, the impact at the national level was more limited as cold weather halted locust migration to the more productive northern regions. Rice production declined by 21 percent this year, say FAO and WFP, resulting in a national rice deficit of 240 000 metric tons for the 2013/14 marketing year. Maize production in 2013 will also not satisfy domestic requirements, and an estimated 28 000 metric tons of imported maize will be required to help bridge the deficit. Swift locust control measures are crucial to avert further destruction of crops, preventing a potentially larger impact on national production in 2014, says the joint UN report. A three-year locust control programme, run by FAO and the Government of Madagascar, started on the island at the end of September with aerial surveys to identify and map out locust populations. Procurement of pesticides, vehicles and equipment for survey and control operations is in progress and spraying is expected to start by late October. This aims to reduce locust populations through the treatment of more than two million hectares of infested land. "Food is the main expense for about one third of households, which spend up to 75 percent of their budget on food purchases," says the FAO-WFP report. "These figures are likely to rise as prices increase, while wages have not been adjusted to the current inflation rates." The current plight of the island reflects years of economic decline, deepening poverty, limited public services and a series of natural disasters that have eroded livelihoods and coping strategies. Approximately 28 percent of rural households are revealed to suffer from food insecurity - of which 2.7 percent are severely food insecure and nearly 25 percent moderately food insecure. In total, about four million people are affected across 20 regions. The food security of a further 9.6 million people could deteriorate as food prices increase during the October-March lean season when crops are planted but not yet harvested. Also of concern is the next cyclone season, which runs from November to April. "Households mainly suffer from inadequate food intake and insufficient meals," says the report. "Diets for households with poor and limited consumption lack animal protein intake (meat, fish and eggs), while vegetal proteins such as pulses are consumed rarely. As a result of the recent shocks, mainly poor harvests and food price increases, households have opted for less expensive foods and reduced food rations as a coping mechanism. •	construction or rehabilitation in the south of the island of community infrastructure such as irrigation canals, dams and water catchment systems; This will be done through food-for-work and cash-for-work programmes. In addition to providing households with productive assets and restoring livelihoods, these initiatives will help ensure adequate food consumption during the lean season. •	strengthening or diversification of income-generating activities as well as the introduction of more efficient water management.